In characteristic Blanchard style, Legendary Service is a quick and entertaining read for people at all organizational levels in every industry. 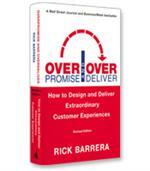 When applied, its lessons will have a profound impact on the service experience your customers will receive. Whether a CEO or a part-time employee, every person can make a difference--and customer service is everyone's job. 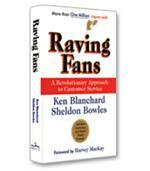 Written with two veteran consultants of the Ken Blanchard Companies, Kathy Cuff and Vicki Halsey, management guru Ken Blanchard’s latest fable offer­ing is Legendary Service, which focuses on customer service. The story focuses on an employee working in the Home and Office section of a large discount store who strives to apply the lessons she is learning in a cus­tomer service class she is taking at a local university. In those classes her professor lays out the ICARE customer service model. ·Ideal Service. The focus here is on consistent day-to-day service, which the authors describe as employees striving to meet customer needs because they truly be­lieve that service is important. In the fable, the heroine of the story, Kelsey, exemplifies Ideal Service by jeopardizing a sure sale for the benefit of the customer: she confirms to that customer that the vacuum cleaner he’s decided to purchase for his wife’s birthday is not a great present. ·Culture of Service. Going beyond individualized day-to-day service, write the authors, a culture of service creates the environment in which employees are inspired to focus on the customer and are held accountable for carrying out the company’s service vision. While Kelsey’s employer displays a complete lack of service culture, various businesses that cross Kelsey’s path, including the physical therapy practice rehabilitating her grandmother’s injury, illustrate the hallmarks of a service culture, includ­ing a posted service vision for the company. ·Attentiveness.This element of the model involves knowing customers and their preferences well. Kelsey is led through the exercise of creating a customer profile: the various categories of customers she serves and their respective needs and preferences. ·Empowerment.The final letter in the book’s customer service model is for empowerment: employees having the freedom to take the initiative to implement their company’s service vision. Both Kelsey and her manager want to turn around the store’s poor customer service reputation and yet are continuously hampered by a leadership that focuses only on the bottom line. 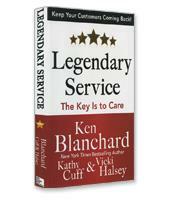 Legendary Service is successful because most readers will be able to relate the fictional characters and events to actual people and situations: the peo­ple-oriented small business owner represented by the physical therapy practice owner; the small business that dresses up its facilities but offers terrible customer service, such as the fancy hair salon Kelsey walks out of; the stores that offer the same products but with completely different customer service cultures, illus­trated by the two competing discount stores at the heart of the fable. The situations are authentic, and the conflict that moves the story forward — will Kelsey quit and join the competitor as her own store goes from bad to worse? — will keep readers engaged. And if there is a bit of a deus ex machina ending, why not? It worked for Jane Austen.